Our wellbeing at work matters to all of us. We want our staff to be healthy and happy because we want to be an outstanding place to work. We also know that improving our health improves care outcomes. That’s why all of us need to be healthy and resilient. So, we have a range of wellbeing support for our staff, which anyone can access at any point. Follow us online on Twitter and Facebook to find out more about our wellbeing offer, latest jobs and top news. 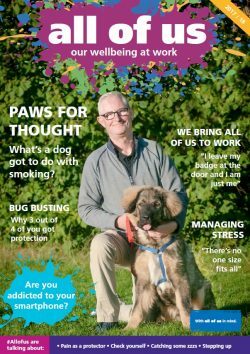 Read more about our wellbeing offer for staff in our magazine, #allofus.